Images and videos are more popular than ever, as people demand visuals in digital environments and more companies scramble to provide them. However, taking random images and throwing them onto your site isn’t enough. If you want to have the best impact, including a gallery of images is one of the best ways to do it, but there are certain steps you’ll need to take to improve the aesthetics, functionality, and compatibility of your efforts. Utilizing the user-friendly tools and accessible layouts of Wordpress can help, but you still need to know what you’re doing. 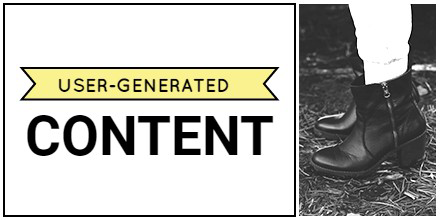 Your first goal should be to generate better images in the first place. Even if you have an image gallery with a stunning layout and superb functionality, none of that will matter if your images are unoriginal or uninteresting. What makes a good image will depend on your target audience and your brand, but as a general rule, unique, visually striking, brand-relevant images are your best bets. There are many tools to help you produce these types of images, even if you have limited expertise, so make this your top priority. Some of these tools include Pagemodo (shown), Canva and Piktochart. 1. Choose a layout that fits your brand. First, you need to understand that the layout of your image gallery is going to have a huge impact on how your users view your brand. If you’re aiming for something classy and professional, you’ll need a more rigid, formal appearance. If you’re looking for something more friendly and playful, you’ll need more colors and interactivity. If you already have a template that fits your standards, this should be an easy transition for you. 2. Upload new images regularly. This is less about the structure of your image gallery and more about what you do once you’ve established it. It’s fine to have a dedicated, semi-permanent archive of images, but in addition to that, you’ll need to upload new content regularly. This will keep your recurring users interested in your brand, and will show new users that you care about your audience and like to keep things fresh. Adobe Stock, Shutterstock and iStock are popular stock photo services, but brands will want to be as authentic as possible and may want to consider asking users (via social, email or on the site) to submit photos of them using the products or services to get (1) free images and (2) increase engagement. 3. Ensure the compatibility of your gallery with all devices and browsers. Nothing will wreck your strategy faster than an image gallery that only works in certain situations. Users these days use all kinds of methods to access the internet, calling upon one of dozens of different browsers on one of hundreds of different desktop and mobile devices. If you want to maximize your impact, you’ll need to ensure compatibility across the board. Make sure all of your images can be opened easily. 4. Offer multiple ways to view your images. Be sure to include thumbnails as well as full-size images. 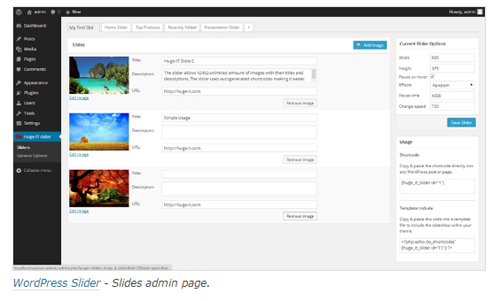 You might also offer different ways to display your gallery, such as adjusting the number of images per page or offering a slideshow option for your users’ convenience - there are plenty of WordPress slideshow plugin options to choose from. 5. Sync your website with an offsite distribution method. It’s also a good idea to sync your images with some offsite means of distribution. For example, you might be able to draw your Instagram feed into your image gallery, or in the reverse scenario, you might be able to automatically publish your new gallery images to Facebook or another social media site. You’ll also want to include share icons, so users can share them on their own newsfeeds. This will maximize your potential reach. 6. Tie your images to other parts of your site. This is key if you want to maximize user engagement. Be sure to include your images throughout your site, not just in one gallery. You might include a feed of your latest uploads on your homepage, or feature some of your newest images on a blog post. You might also simply link out to other important pages of your site on the individual image pages to generate more internal site traffic. Keep your site tightly operational, and keep your users there as long as possible. With a better image gallery, you could see higher traffic from offsite sources, higher levels of customer engagement when they get there and ultimately more conversions. You’ll also generate a better reputation as a brand, as images can form strong first impressions, and if you integrate them with your core content strategy, you’ll see a tremendous return.